Todd Schneider is a Reform Jew who went to Yale University and once worked for a hedge fund. In other words, he's someone you'd expect to read about in a New York Times wedding announcement. That's according to Schneider's own creation: Wedding Crunchers, a simple but inspired app that tracks the changing rate of word usage in the Times weddings announcements since 1981, using data scraped from 60,000 announcements. Schneider built the app in two weeks, spurred on by an "endless fascination with weirdo New York culture" and "the hypocrisy of the Times being this liberal institution that still really cares about your resume and what your parents do for a living," he told HuffPost. Indeed, in the word cloud Schneider posted along with a squib about the project, one of the big phrases is "her father is president of." Based on his hedge fund days, Schneider theorizes the surge in "Hindu" is a result of Indian Americans joining a certain profession: The announcements "used to be very WASPy. These days, it's kind of anyone who's a banker." HuffPost had our day in the sun it seems, back in 2011. 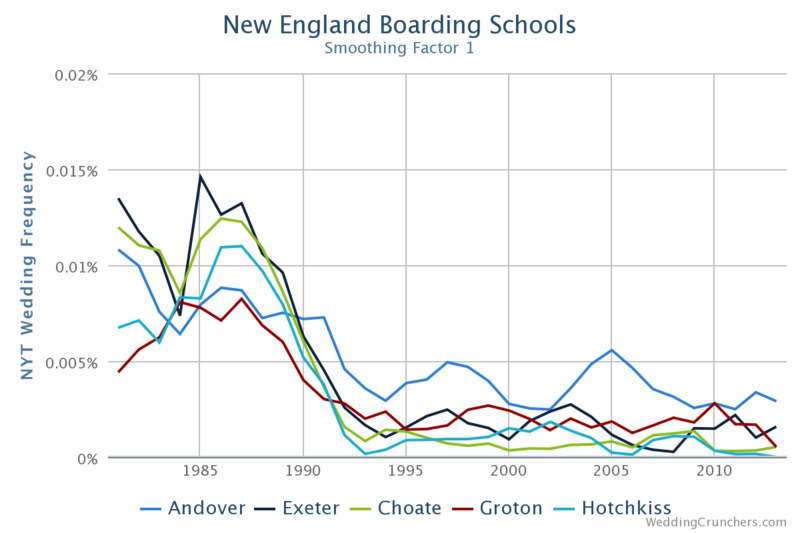 The decline in prep school name dropping "appears to be part of a broader trend toward excluding high school credentials from the announcements," Schneider writes. Head to Wedding Crunchers to make your own chart. No dossiers required. CORRECTION: A previous version of this article misidentified Todd Schneider's religion.